The nominations for the 85th annual Academy Awards were announced earlier today by host Seth MacFarlane and actress Emma Stone, both of whom brought some much-needed humour to the usually dull announcement. Lincoln, Steven Spielberg’s historical biopic about former US president Abraham Lincoln’s endeavours to achieve passage of the constitutional amendment, was revealed as the frontrunner with a total of twelve nominations, with Silver Linings Playbook, Zero Dark Thirty, Life of Pi following closely behind. Beasts of the Southern Wild proved to be the biggest success story of the day though. The low-budget fantasy-drama picked up four nominations in some of the Academy Awards top categories, including Best Picture, Best Director for Behn Zeitlin and Best Actress for nine year old Quvenzhane Wallis, the youngest ever Best Actress nominee. Emmanuelle Riva, too, defied expectations to pick up a Best Actress nomination for her role in Michael Haneke’s Best Picture nominee Amour. The Master fared well in the performance categories, with Joaquin Phoenix, Philip Seymour Hoffman and Amy Adams collecting Best Actor, Best Supporting Actor and Best Supporting Actress nominations, respectively, but failed to make much of an impression elsewhere. 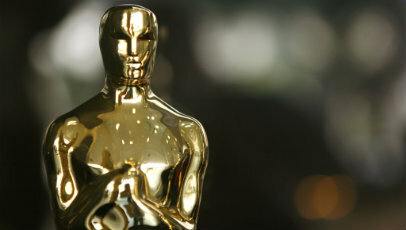 Les Miserables and Django Unchained both scored a handful of nominations each, while Ben Affleck’s political drama Argo scored a Best Picture nomination but regretfully missed out in other areas. Other noteworthy omissions included Rachel Weisz for Best Actress, The Imposter for Best Documentary and Leonardo DiCaprio for Best Supporting Actor. It was a strong year for animation though, with all the deserving parties – Brave, Frankenweenie, ParaNorman, The Pirates! In An Adventure With Scientists and Wreck-It Ralph – receiving nominations for the elusive Best Animation award. It seems the sprightly Tinkerbell will have to try again next year.